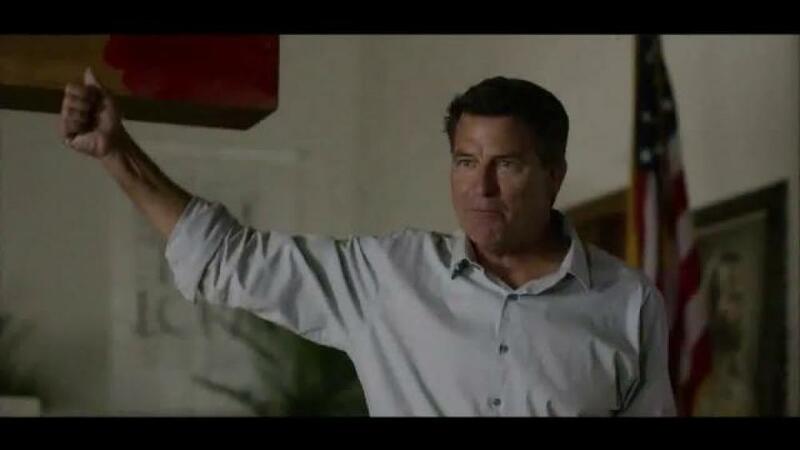 Hand it to Pierce Brosnan. He’s never turned in that License to Kill for an AARP card. He shows up as a sort Bond ex Machina in “No Escape,” a genuinely harrowing thriller about an American family trapped in the middle of a Southeast Asian coup. He’s the back-slapping barfly who is, of course, more than he seems when he bumps into the Dwyers on the flight in. We’ve already seen the bemedaled prime minister and his staff slaughtered in the film’s opening scene. 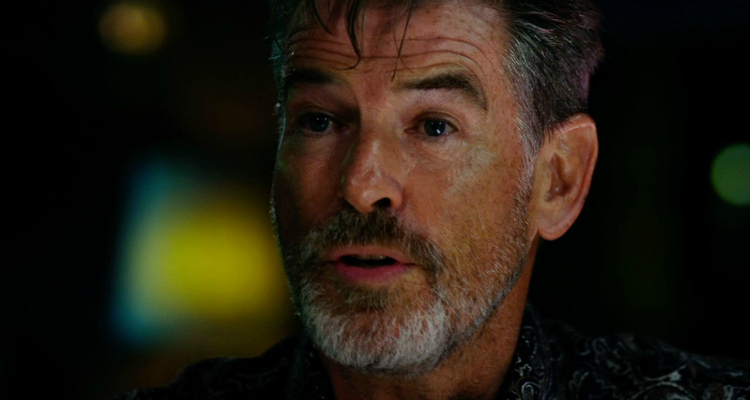 And the guy with the beard and jovial accent is, well, Pierce Brosnan. We know this “Hammond” fellow is going to come in handy when the chips are down. As they will be in about a day. Jack (Owen Wilson) has a much-needed new job as a hydraulic engineer. 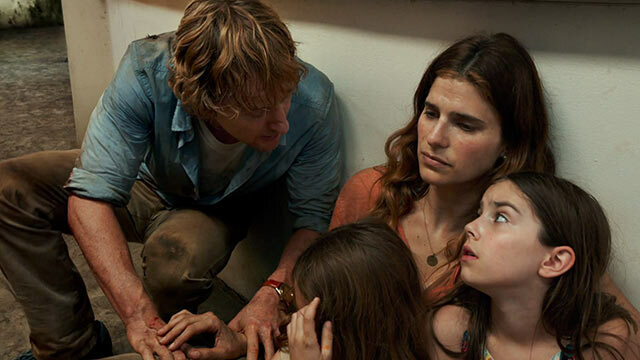 Annie (Lake Bell) is his leery wife. Their four-star hotel seems like an island in the middle of something else entirely (The country is never identified as Cambodia or Laos or Thailand). “Welcome to the Third World,” Jack crows. “Actually, it’s the FOURTH world,” she snaps. Then the mayhem starts. Mobs with guns and machetes, wearing those red scarves that we remember as the trademark of the Khmer Rouge, take to the streets, overwhelming the riot police and then the army. They hack up or shoot anyone in a suit, especially foreigners. Yeah, there’s something about Jack’s work that is inspiring this, but the analog the filmmakers were going for is straight-up savagery –Khmer Rouge. There’s no cell service, no escape from the hotel. But they’ve got to get to the embassy. And the Dwyers have to do this with two somewhat traumatized pre-teen daughters. Filmmakers John Erick Dowdle and Drew Dowdle (“As Above, So Below,” “Quarantine”) serve up a horrific string of “Sophie’s Choice” situations, in between the breathless chases and brutal violence. Children are hurled off buildings, parents must weigh, in an instant, how their sacrifice might keep the others alive. Because at every turn, ugly, progress-and-foreigner hating locals are butchering everyone in sight. “No Escape” reminded me of the British films about the Zulu Wars from the 1960s — a sea of savage brown people indiscriminately hating and hacking up whites. The way the movies got away from that Cowboys/Indians racism was to turn those few-against-many tales into zombie pictures. Nobody can reason with a zombie. Nobody cares when zombies are mowed down. It’s no surprise that the Dowdles cut their teeth in horror films. Planting a speech where Hammond justifies the locals’ rage is only going to provoke eye-rolls. And much of what has happened before that has crossed into melodrama, with each nick-of-time delivery from death, each narrow escape. Which kind of gives the lie to the title, doesn’t it? As visceral as the film often is — and Bell really SELLS the fright and the awful choices they’re facing — you have to guess, early on, where the sacrifice will come from and who will be delivered from the restless natives. At least that deliverance is bit ironic, if you know your Indochinese history. Credits: Directed by John Erick Dowdle, script by John Erick Dowdle and Drew Dowdle. A Weinstein Co. release. I notice a lot of critics are going as far as to call it “xenophobic” and “reprehensible”. That’s nonsense. A good friend in Minnesota interviewed the Dowdles. The film was inspired by an actual uprising and placed in a ‘fictional’ location out of respect for Thailand. It has some narrative hiccups but it’s not an exercise in fear-mongering or racial animosity. In fact I would say there are nuances that rise the movie above that. Not always in ways that serve the storytelling, but they are there. Not referring to you, but a sometimes I feel people truly want to see these things to point out and scold in a movie.